Across Web, Video And Mobile In-App Devices. Capture the millennials and the new generations as well as the older demographic of users that have embraced new technology. 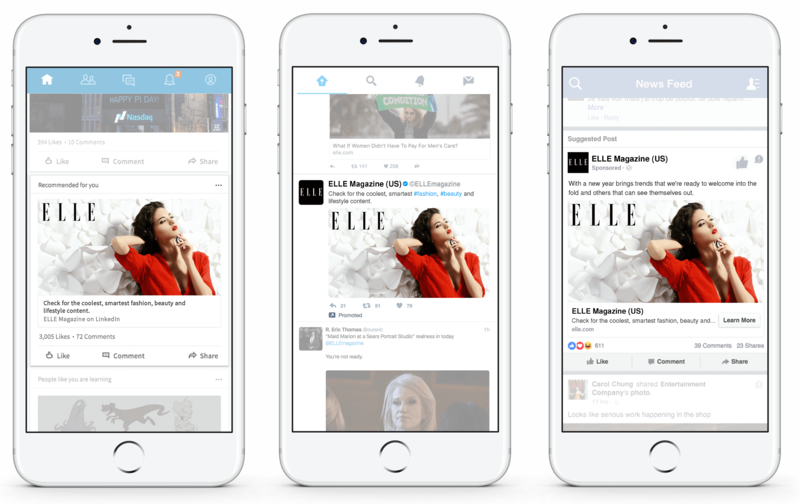 This new landscape makes it increasingly difficult for advertisers to fully reach their audience through old methods of advertising. 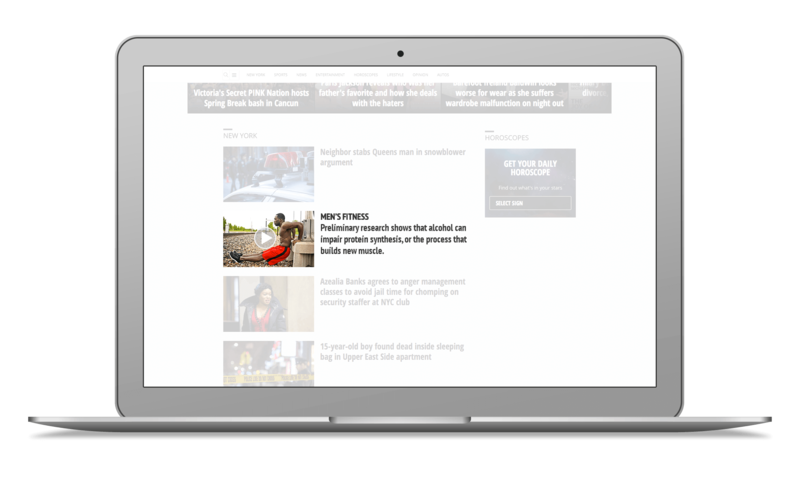 Native Ads can be your one stop shop to handle all of your digital native advertising needs. 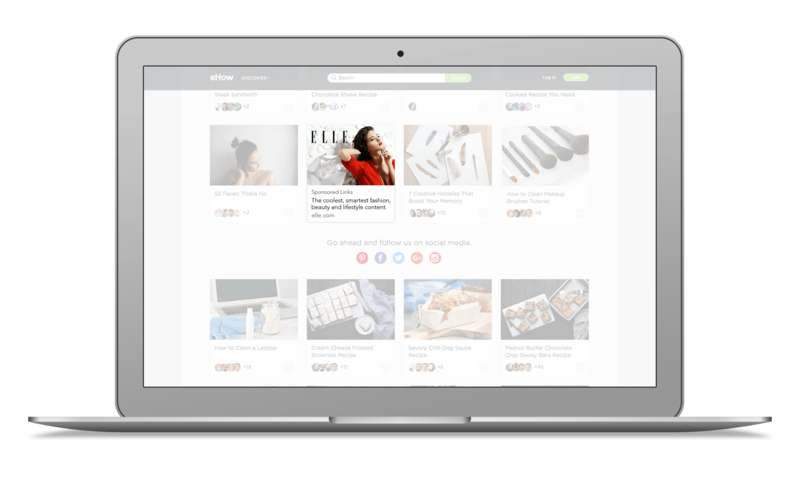 Our powerful contextual topic engine and our amazing list of supply of tier one publishers and supply partners can increase your brand awareness or lower your cost per lead significantly. With Nativeads.com, buyers can be more selective on where their ads are placed, they can be assured that their brand will be safe through our partnership with Pixalate and always have their ads displayed with the highest viewability percentages in the industry. 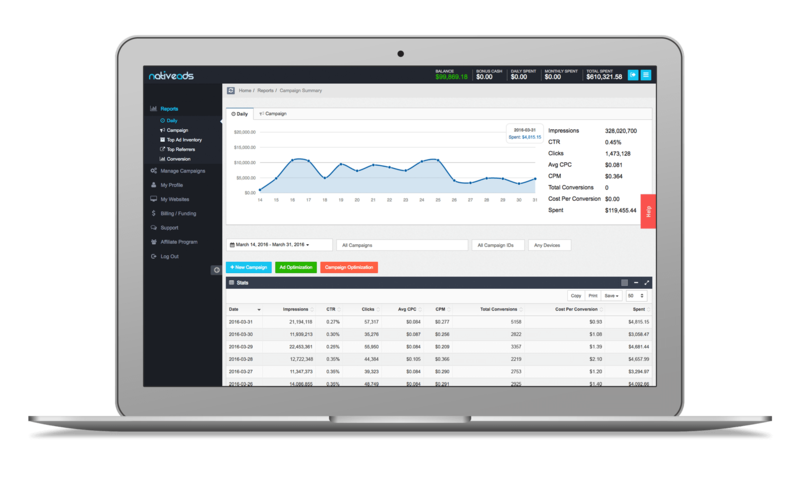 Customers can also use our APIs to pull reports for their own statistical analysis. The most effective way to drive targeted traffic to your content and guide the audience through your conversion funnel. Capture a new audience you wouldn’t acquire through traditional channels and identify new audience profiles that are just as engaged if not more engaged then your existing target audience. Our targeting capabilities ensure your budget is not wasted on the wrong audience or the right audience at the wrong times. We get your video placed among editorial content on the most reputable sites, making your video “fit-in” and engaging the audience in a manner that cannot be achieved using television or Youtube preroll ads. Your video is never “skipped” because the users actually opt-in to watch your video, with no other video content to follow your video, it stands on its own! 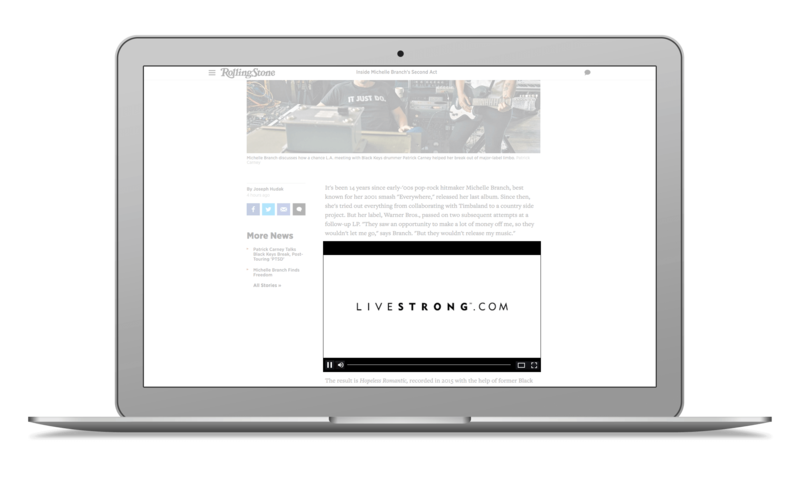 Outstream videos autoplay in a high impact player when users interact with content. Videos are contextually matched to article content and elegantly served among the article content on the top 500 sites on the internet. A risk-free way to scale the distribution of your video. Forget about paying for 5 second skippable videos, pay only for full video plays. The true form of “native” is to deliver sponsored content that does not feel different to consume than editorial content. With a sponsored placement, the key is that the reader does not leave the site when they click to read your article. This allows us to leverage the reputation of the publisher, benefiting from both the organic traffic their site gets but also giving us a reputable destination to send the target audience to using the native distribution services. Although it is not suitable for every campaign, the scale of social distribution cannot be ignored. With over 10 million pixels being fired per day from our vast publisher base, we are able to create and segment custom audiences to target the right users at the perfect time of the day. While we strive for more likes, our goal is to guarantee you engagements and actions that meet your KPI goals. We don’t just create campaigns, we make them more “intelligent” as each impression and click is measured through event tracking pixels. Email newsletters replaced direct mail. 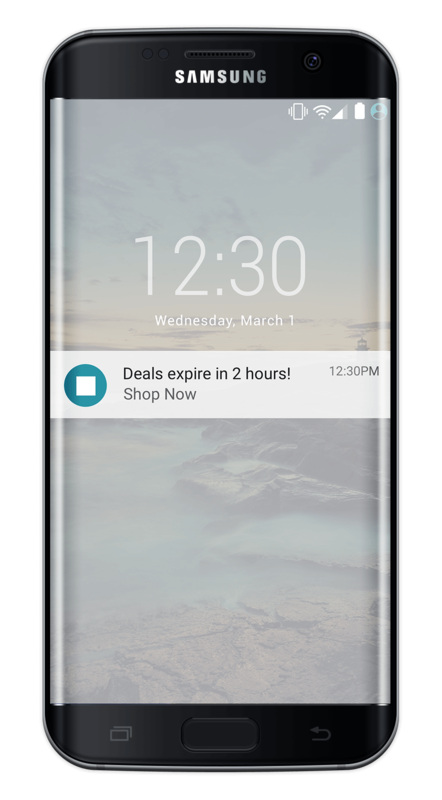 Now push notification campaigns are replacing email newsletters. Reach your audience before they browse the internet. Reach your audience before they check their email. You will have their FULL attention! If your digital campaign calls for an inbound strategy, we are the experts. 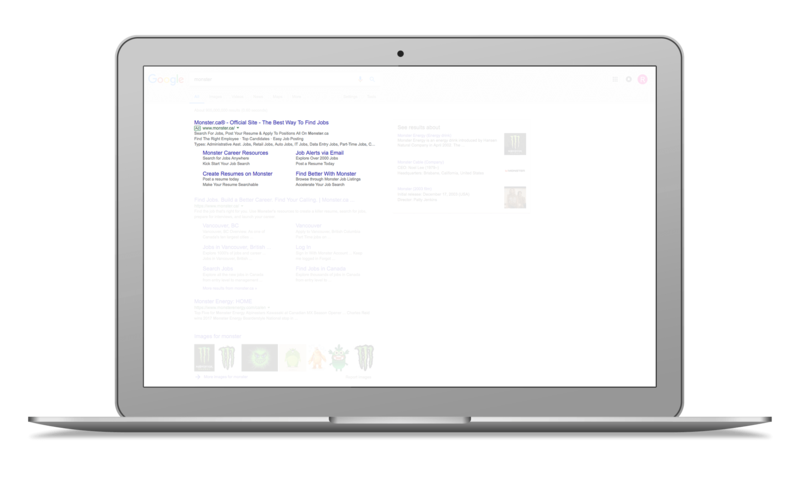 Our team has lived in the world of keyword and bidding strategies since the early days of search and when combined with our landing page design services, the results of our SEM services are compelling. 98% of users who visit a site bounce. 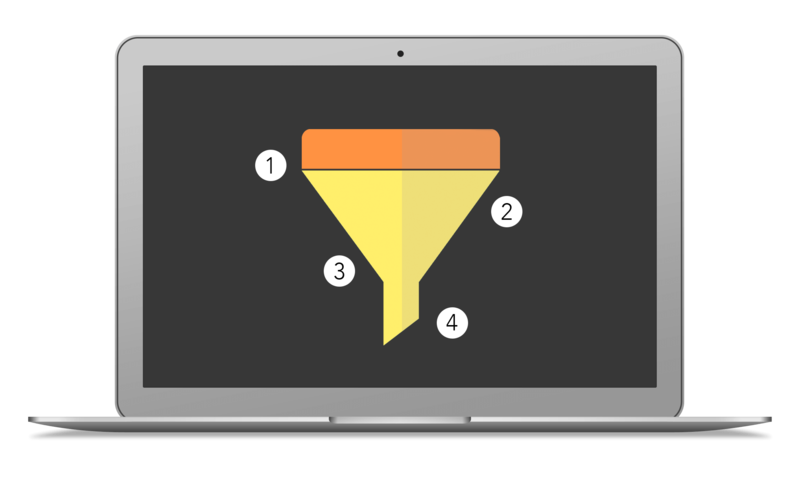 Bring those abandoned users back to your site by creating a retargeting funnel using search, site and dynamic retargeting. Continue to create that interest using “High Intent User Segments” to predict if a user is in the top 20% likelihood of converting. By using predictive learning and machine algorithms to find these users, your conversions will soar. Content placement, audience targeting, designing the first engagement, time on site and number of pageviews per session, audience segmentation, retargeting and sequential messaging are all just a part of building the ultimate funnel. Optimization is a not a daily task, our team watches over the campaign every hour and make data-driven adjustments realtime. Yes, send me your best tips! No, I'm already an expert.